We all want to live longer yet be able to enjoy an active life as we grow older. At Serrão Rejuvenation Center, Dr. John Serrão, a board certified gynecologist, offers anti-aging treatments for women in Orlando, Winter Park and the surrounding areas of Florida. You most likely feel the same. Unfortunately, your body is continually bombarded with a multitude of stresses that can wear you down and cause your body to “age.” Fortunately, there are anti-aging actions that you can take to help you become healthier. Whether called “Anti-aging” or “Wellness,” they are simply preventive health care actions that can help you maintain a healthier, more youthful body. Your body can look older as environmental factors affect your skin and internal organs. Aging processes worsen when you develop medical problems such as heart disease, diabetes, cancer, and many other medical illnesses. These are some of the “degenerative diseases” that can make you grow old faster. They can weaken you, give you poor quality of life, and decrease your lifespan. Thus, they “age” our bodies. Anti-aging concepts and options attempt to help prevent or reverse these degenerative processes. We can help you to discover these options to potentially help you not only live longer, but also live with a better quality of life. We strongly believe that the daily stresses in life are a key component of the aging process. These include poor nutrition, lack of exercise, environmental free radical exposure, and inadequate rest. At Serrão Rejuvenation Center. we know what you need and offer a full line of customized essential vitamins and nutritional supplements that are FDA-approved to gently cleanse your body of its impurities and improve your well-being. We proudly offer an array of services that will help you to revitalize the body, mind, and spirit! Go ahead; it’s never too late to start taking care of yourself! Wellness Spa An array of services that are designed to gently cleanse the body of impurities, improve your well-being, and promote relaxation. Get superior results from your anti-aging treatments. At Serrão Rejuvenation Center, Dr. John Serrão, a board certified gynecologist, offers anti-aging treatments for women in Orlando, Winter Park and the surrounding areas of Florida. Contact us to schedule a consultation and begin your rejuvenation today. We all want to live longer yet be able to enjoy an active life as we grow older. At Serrão Rejuvenation Center, Dr. John Serrão, a board certified gynecologist, offers anti-aging treatments for men and women in Orlando, Winter Park and the surrounding areas of Florida. Wellness Spa – An array of services that are designed to gently cleanse the body of impurities, improve your well-being, and promote relaxation. Get superior results from your anti-aging treatments. At Serrão Rejuvenation Center, Dr. John Serrão, a board certified gynecologist, offers anti-aging treatments for men and women in Orlando, Winter Park and the surrounding areas of Florida. Contact us to schedule a consultation and begin your rejuvenation today. What Are Anti-Aging and Wellness Centers? Wellness Centers and their associated physicians, such as Dr. Serrão, take an active preventative approach to health care. As a Fellow of the American Academy of Anti-Aging Medicine, he believes you can alter the dreadful curse of aging by preventing, delaying, or reversing some of the damages associated with aging. 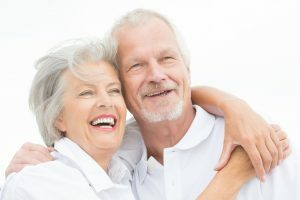 If you embrace these concepts of anti-aging medicine, you can potentially reduce many of the destructive processes associated with aging as you get older. What Are my Options for Decreasing Aging Effects on My Skin? There are many actions that can help a person have younger looking face and skin. This is called facial rejuvenation, and we have multiple options for achieving this goal. Everyone has different needs. To restore a more youthful look, we reduce wrinkles, restore lost volume, and reduce pigmentations. For many women, skin resurfacing may be needed to remove old aged looking skin and restore it with new younger regenerated skin. All authorities agree that adequate exercise and a healthy diet with proper nutrition can help restore and maintain the health of your heart. Making sure your body has the proper balance of lipids is also important. Blood tests can be done to evaluate your lipid profile and anti-lipid therapy can be initiated. Maintaining an appropriate weight can also help better your heart health significantly. We offer options for these actions, including successful weight loss program. What Are My Options for Hormone Anti-Aging Concepts? A proper hormonal balance can help restore your energy, improve your mood, and help prevent many degenerative processes from occurring. Although many people are afraid of hormone therapy due to media misinterpretation, we believe that hormones are very beneficial when prescribed properly. We offer multiple choices for hormone therapy, including bio-identical natural hormonal therapy. When you have adequate hormones in your body, you feel, lookm and act younger. Moreover, your internal organs can benefit from their anti-aging actions too. Why is a Weight Loss Program Anti-Aging? Losing excess weight reduces your chances of developing many of the degenerative disease processes that make your body age prematurely. There is a large body of evidence that has proven these anti-aging properties of weight loss. The risk of you developing medical problems such as diabetes, heart disease, cancer, arthritis, and many other degenerative processes is markedly reduced. The problem is that most people who are overweight or obese have difficulty losing the weight. We have a solution to your problem with our HCG True Diet weight-loss program. What Options Do You Offer for Cancer Prevention? At our office, we emphasis preventive health to help women live a better quality of life while they live longer. Lifestyle behaviors, medications, and dietary supplements can improve a woman’s health. Diagnosing early stage cancers and treating them early can also help. Dr. Serrão practices preventive medicine at his office and can help diagnose these potential problems so they can be treated as early as possible. We encourage you to do annual exams with cancer prevention screens where appropriate to accomplish these goals. Which Nutritional Supplements Are Recommended for Anti-Aging? The goal for nutritional supplementation is to provide adequate nutrients to your body to help decrease the degenerative processes from aging you prematurely. Dr. Serrão’s private label supplement brand, Serrão MD Prescriptives, offers pharmaceutical grade quality to restore the body to a healthy condition. They should help you live a better quality of life and hopefully help you to live longer too. Some of the properties of nutrients that can assist in these goals are anti-oxidant effects, immune boosters, and actions that favor a heart healthy lipid profile. A nutritional evaluation can be performed with targeted serum evaluations and in-depth reporting of deficiencies. We offer guidelines and replacements at our Serrão Rejuvenation Center for these deficiencies. What Are Some Actions I Can DoToday for Anti-Aging? Some health improving actions you can do for your anti-aging goals include: Weight Loss, Weight Management, Nutritional Diet, Adequate Exercise, Cigarette Cessation, Annual Physical Exams, Heart Health Evaluations, Breast Exams, Mammograms, Prostate Exams, and Gastrointestinal Evaluations. What is a Wellness Consultation? This informative consultation will cover diet, exercise, vitamins, nutritional supplements, lifestyle, and general well being with Dr. Serrão who is a Fellow of the American Academy of Anti-Aging Medicine. Bloodwork, urine testing, and saliva testing may be ordered.